Each week, we will post an arrest of interest pointing toward arrest and crime trends within Arcadia. Residential burglary continues to be a focus for our crime prevention and awareness efforts. As we posted last week, several arrests for residential burglary have been made in recent weeks. 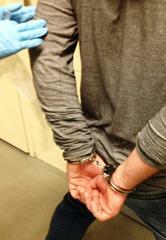 The trend continued this past week with an individual being arrested after burglarizing two homes in close proximity. Officers were sent to a home in the 900 block Sunset Boulevard during the evening hours on Saturday, February 4th, after the home burglary alarm had been activated. When the officers got to the house, a male exited the home and ran off when officers tried to stop him. The male was quickly caught after a short foot chase. During their investigation, the officers found not only the home on Sunset burglarized, but also a nearby apartment in the 700 block of Fairview Avenue. Property from both residences were recovered during the arrest. In both cases a rear or side window was the point of entry. 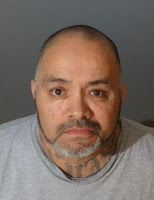 Refugio R. Gomez, 51-year-old male from Hesperia was arrested and booked on felony charges at the Arcadia City Jail. Anyone with information on these cases is encouraged to contact the Arcadia Police Department at 626-574-5156. Or, if you wish to remain Anonymous, call “LA Crime Stoppers” by dialing 800-222-TIPS (8477), use your smartphone by downloading the “P3 Tips” mobile app on Google play or the App Store, or by using the website http://lacrimestoppers.org. Refer APD case #17-00641/642.